Office hours: Thursday, 11am-12pm, and by appt. 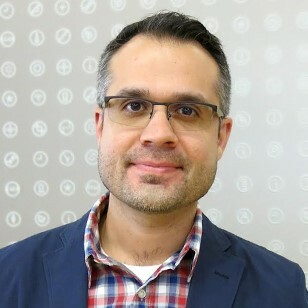 Robert D. Montoya is an Assistant Professor of Information and Library Science (ILS) and Ph.D. Program Director for Information Science in the School of Informatics, Computing, and Engineering (SICE). He is also Director of the Comparative Classification Lab based in ILS, which focuses on the importance of knowledge organization (KO) structures (classifications, taxonomies, metadata, ontologies, standards, etc.) to the production and articulation of knowledge in multiple disciplines. His research broadly examines how communities represent, organize, and share information and how the knowledge organizing infrastructures that support this exchange are affected by underlying values about knowledge. He brings together several domains of scholarly activity in his work including, classification theory, philosophy of information, documentation studies, biodiversity informatics, systematics, Science and Technology Studies (STS), infrastructure studies, and data studies. Other fields of scholarly interest include, history of the book and print culture, library studies/management, special collections, and digital scholarship. His research has been funded by UCLA, the National Science Foundation, the Smithsonian National Museum of Natural History, Litwin Books, as well Beta Phi Mu, the International Library and Information Studies Honor Society. He has held professional positions in special collections and archives since 2007. Most recently, he was the Head of Public Services for Library Special Collections (LSC) at UCLA—ranked among the top ten academic research libraries in North America—where he led LSC’s reference, reader services, instruction, outreach, duplication services, and scholarly communication and publishing.